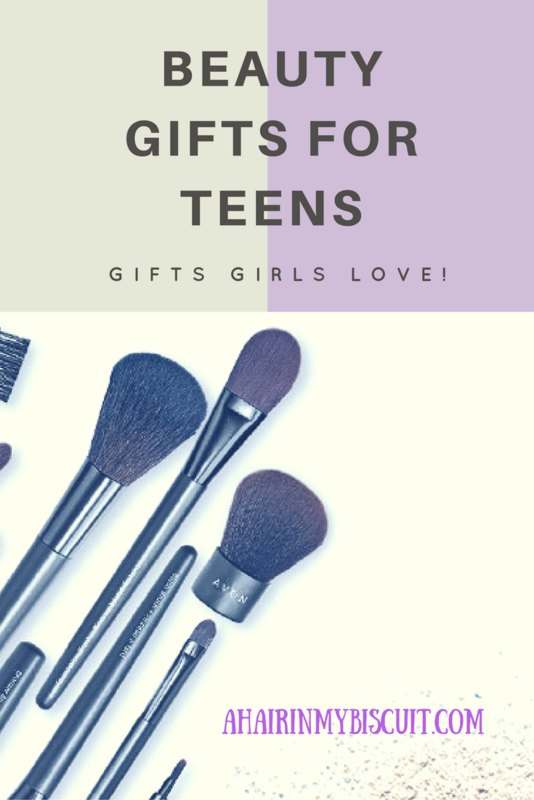 Christmas is coming, so let’s talk beauty gifts for teens! 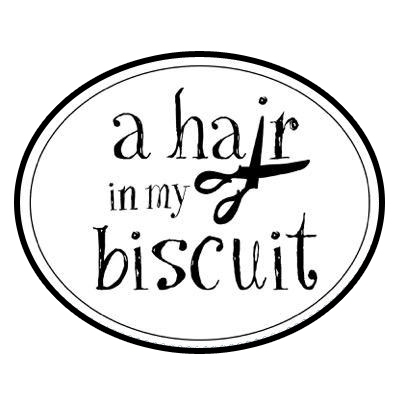 I’m sharing all the makeup gifts girls love in this post, and planning a future post on hair care gifts. Be sure to subscribe to my newsletter so you won’t miss it! If you want to give the teen girl in your life the gift of beauty, but just don’t know where to start, you’re in the right place. My girls are different from one another like night and day. Their skin types are different, their hair types are different, and their tastes are definitely different! It gets expensive trying to keep them both stocked with products they love, so I don’t buy any ol’ thing they want all the time. Plus, they seem to enjoy having “blind makeup parties” with their friends, which is a game in which they apply makeup on one another wearing a blindfold. Let me just say that they have created some very interesting looks with this game! I wouldn’t want any pricier makeup options being used for that! Christmas is the time when I splurge and purchase the things they like…the things they don’t like to share! These beauty gifts for teens are the perfect “splurge” for the teen girls on your list. Hook them up with the beauty products they crave at Christmas time! I’ll show you the makeup gifts girls will love, without breaking the bank. When it comes to beauty gifts for girls, you can’t go wrong with popular makeup lines. Girls who love beauty do their homework…they listen and pay attention to which products are hot each season, and they crave those brands that everyone is buzzing about. I’ve done my homework, too, and I’m going to show you how you can get these beauty gifts online. You’ll save money, and avoid the hassle of going out and weaving through gaggles of girls to score the best beauty gifts for teens. I’ve studied up on the best looks for fall, and the hottest beauty products out there (to see more, check out my post New Makeup Trends 2016). I love experimenting with makeup, and keeping up with the latest beauty news and the season’s hottest products. Pooh, my oldest girl, hardly ever wears makeup, and I’m ok with that. I love that she lets her natural beauty shine! She likes to play around with makeup on occasion. Tigger, my youngest, isn’t quite old enough for makeup, but loves to experiment with it. I’m definitely planning some makeup Christmas gifts for them both! Girls want what girls want, and this year they want the Anastasia Beverly Hills Sun Dipped Glow Kit! Most girls will agree that this is the best makeup highlighter out there. This highlighter palette is popping up in every beauty-lover’s group on Facebook, and I’m sure it’s popping up on your beauty lover’s wish list. The colors are gorgeous, and the quality is top-notch. You can score this kit for around $36 on Amazon (it’s $40 on the brand site)! You might not spend that much on a regular basis, but it’s not much to fork up for a coveted Christmas gift your teen will love! The Urban Decay Naked2 Basics palette is another amazing beauty gift for teen girls! It has the most faved colors of the full Naked2 palette, but is about $20-30 cheaper. You can snag this palette on Amazon for $27.99 (it’s $29 at Sephora), and I know you’ll get a squeal out of your teen when she opens this one! If you’re planning any makeup gifts for teens, I would definitely add this to your shopping list! If you really want to splurge, you can get the full Naked2 palette, which is AMAZING, for around $70. You can love, hate, or love to hate Kylie Jenner, but her cosmetics line is WANTED! I read so much buzz about Kylie Cosmetics in the beauty groups I’m in on Facebook, and every girl wants to try the Kylie Lip Kits! It’s a long-wear lip color and liner sold together. Here’s one in “Leo” for just $24.99 (they’re $29 on the brand site). I also found it in Kandy K (<–click to buy!) for the same price, and in Koko K (<–click to buy!) for just $17.99! Sure, you can buy makeup in sets, but the majority of the makeup gift sets I’ve seen (that are actually affordable) are pretty low quality. The best makeup gift sets are the ones you put together yourself! You can get a few of the above products for under $100, and create a set for her that she’ll love! Not all makeup gifts for teens have to be pricy. That’s where the stocking stuffer ideas come into play! I don’t care how old my girls get, they will still be getting a stocking stuffed with goodies on Christmas morning. Makeup is the ultimate stocking stuffer, because it’s the right size and the right price. One of my favorite beauty gifts for teens is eyelashes, and they’re small enough (and inexpensive enough) to make the perfect stocking stuffers. I’m not saying I would want my girls to think they have to wear false lashes all the time, but lashes are a fun way to really dress up a formal look. Your teen girl might even love wearing them to her Christmas dances this year, so you might want to get these early! If not, stuff ’em in her stocking and she can save them for Spring formals. Even the best lashes are pretty inexpensive, like these from Ardell, or these from e.l.f. Let’s face it; falsies are generally going to be a one-time-wear, so you don’t want to spend a ton! Both of these brands are affordable. The ABSOLUTE BEST eyelash glue is Duo Glue (<–click to buy! ), available on Amazon for under $5. This glue is non-irritating, and holds those lashes on tight! It’s definitely the most recommended glue in the beauty groups, and I’ve never seen it in drugstores. If you’d like to gift your teen with a great makeup highlighter, but not spend $36 for the Anastasia Beverly Hills option, I highly recommend this Baked Highlighter by e.l.f. This is only $9 on Amazon, and it’ll tuck into her stocking beautifully! The shimmery gold effect is so pretty, and girls love highlighting and contouring. If you’re unsure about the Coosa brand, or think your teen would prefer a shiny gloss, I highly recommend Avon Ultra Color Glossy lip gloss. It’s on sale (currently) for just $2.99 a tube, and comes in six different colors! Avon Ultra Glazewear Lip Gloss is currently on sale for $3..99, and has the applicator wand. Plus it comes in 19 different shades! These are super-wearable, beautiful glosses that won’t break the bank, from a very trusted brand. A girl can never have too many makeup brushes! They need to be replaced every 6 months to a year anyway, so makeup brushes are wonderful stocking stuffers. My favorites right now are the Avon makeup brushes, and they’re also on sale at the time I’m writing this…buy1, get 1 for $1.99! At these prices, you could get your teen queen a full set of really good brushes and wrap them up, or just get one or two for her stocking! I hope I’ve helped you find the perfect beauty gifts for teens today, and saved you some time and money with your Christmas gift list! These are easy to find beauty gifts that your teen girl will rave over. The most fun will be experimenting with her new beauty haul on Christmas Day, after the gifts have been opened and your bellies are full. Expect her to be smiling from ear to ear, with shiny lips, a healthy glow, and voluptuous lashes! Which of these makeup Christmas gifts is your favorite? Pretty please, with glitter on top, leave me a comment and tell me which of these you’ll be sure to snag for your beautiful teen girl. Do you approve of makeup at your house? Do your girls love it, or hate it? Let me know you’ve been here! I love your comments like teen girls love iPhones! Eyelashes! I love the eyelashes!